This obstacle course is perfect for the competitve side in all of us! Have your party guest entertained with this awesome addition to any event. Great for birthday parties, end of year school events or any event! Have it as an addition to your bounce house or water slide rental for non stop fun! 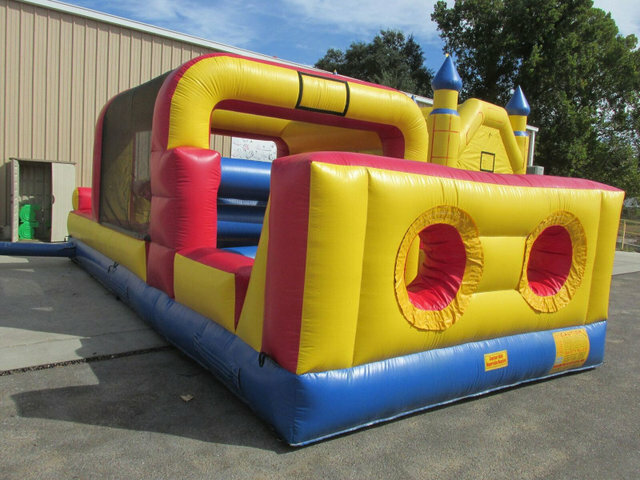 One of the best obstacle courses out there for Austin Bounce House Rentals!